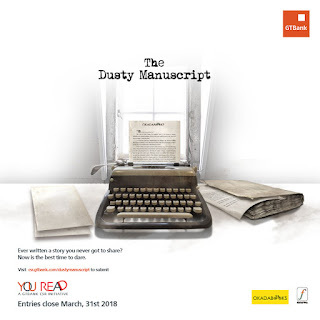 Leading financial institution, Guaranty Trust Bank plc (GTBank), has launched the Dusty Manuscript Contest to give budding writers the opportunity to win publishing deals for their finished, but yet-to-be published, manuscripts. Organized in partnership with publishing houses Okadabooks and Farafina, the contest is part of the Bank’s YouREAD initiative which is aimed at promoting the culture of reading and inspiring the next generation of award-winning and globally renowned authors. With the Dusty Manuscript Contest, GTBank is seeking to address the challenges indigenous writers face getting their books published. If you are a writer with a story to share with the world, this may be the perfect opportunity to make a living off your work. The top 3 entries in the Dusty Manuscript Contest will be rewarded with publishing contracts with Farafina as well cash rewards. The top 10 entries will have their books e-published by Okadabooks, including book cover design, book editing, and publicity. 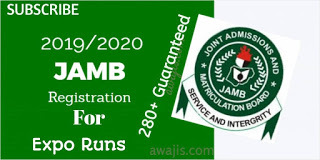 The top 25 book authors will also get a 2-day boot camp training on writing, marketing and branding. 0 Response to "Looking to publish your book? Join the GTBank Dusty Manuscript Contest"